My beloved red wallet is showing its age (older than this blog), and not in a particular good way, despite my loving care. I've been carrying red wallets for most of my life, so I have every intention to keep doing that (I also drive red cars exclusively. It's my thing). Imagine my delight to see that The Beta Version, a Hungarian artisan brand which I've adored since they first came onto the scene, has the perfect wallet. 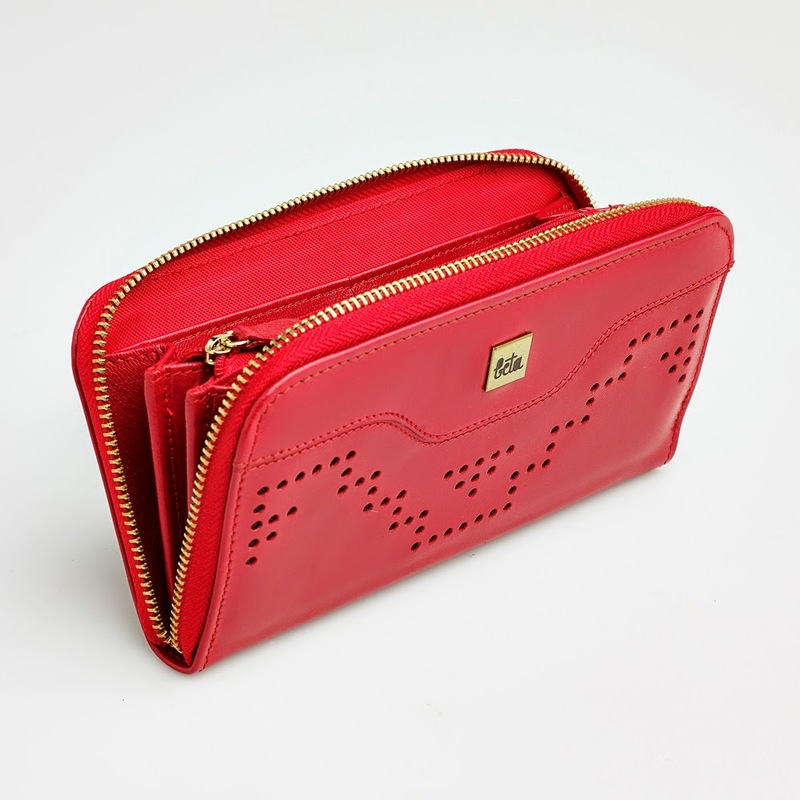 Vilma wallet has Beta's signature perforated leather exterior, and features one large coin pocket with zip closure, two large cash compartments, two large pockets, two small pockets, and eight card holder slots. Size is 19x10 cm (about 7.5"x4"), so it's pretty standard. Since I'm already familiar with the uncompromising quality of The Beta Version products, I'm in deep lust with Vilma (and I wish for a matching red iPad case). 100 euros from thebetaversion.bigcartel.com, where I could go on a dangerous shopping spree. I have a fascination with red or camel purses or wallets. Is my thing too. This one is gorgeous, so will go take a look at the website. Thank you Gaia.